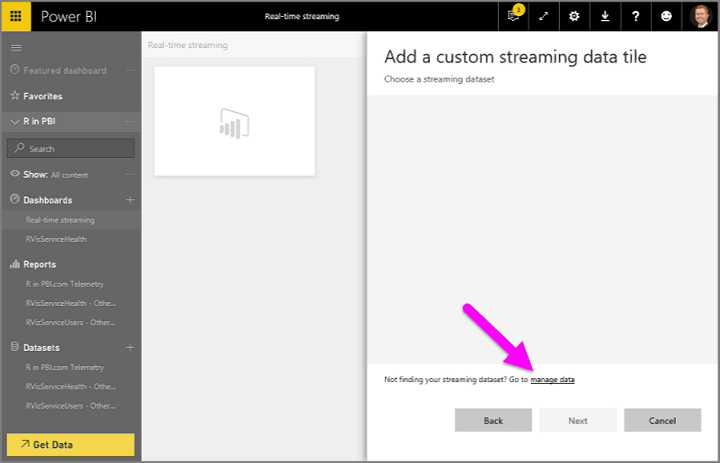 Power BI real-time streaming is now available. Now you can stream data and update dashboards in real-time. Any visual or dashboard that can be created in Power BI can also be created to display and update real-time data and visuals. This feature allows users to build streaming tiles on top of datasets pushed to Power BI by Azure Stream Analytics, while still supporting all existing functionality. These streaming tiles augment the existing Stream Analytics to Power BI workflow by enabling support for highly requested scenarios such as showing latest value, and showing values over a set time window.